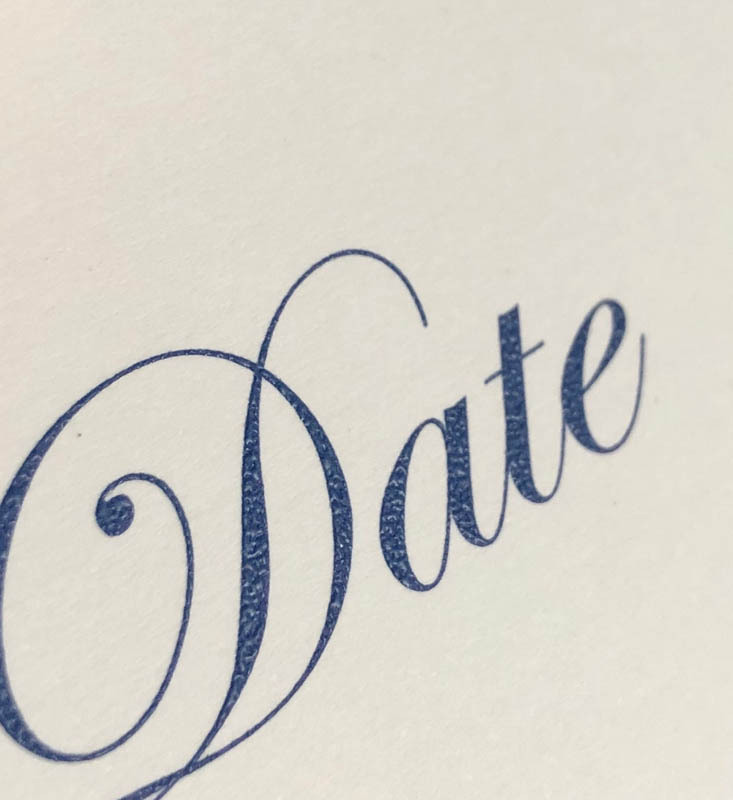 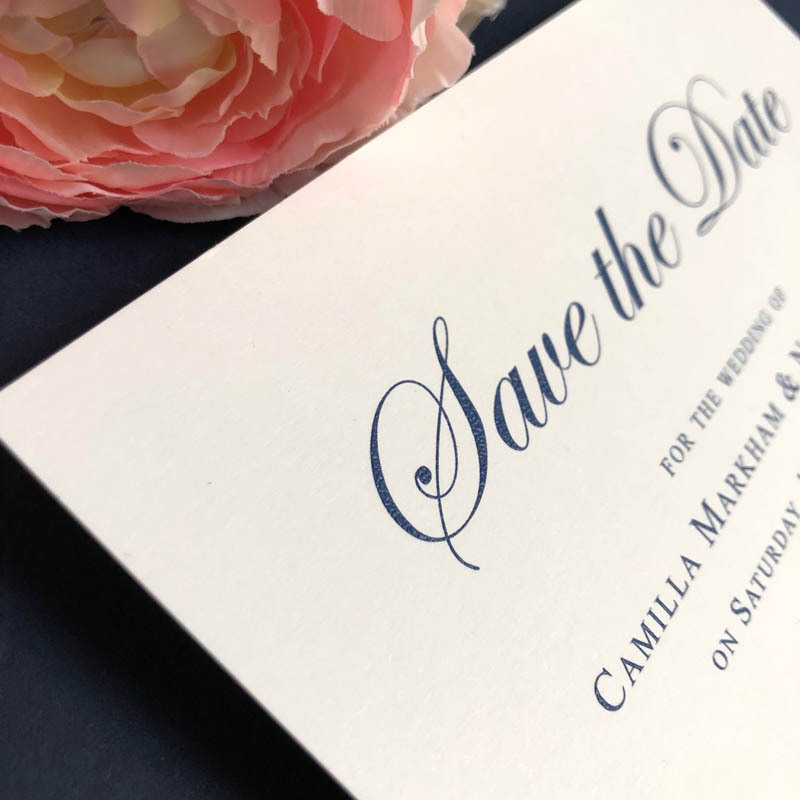 GB Blue Save the Date is a stunning invitation. 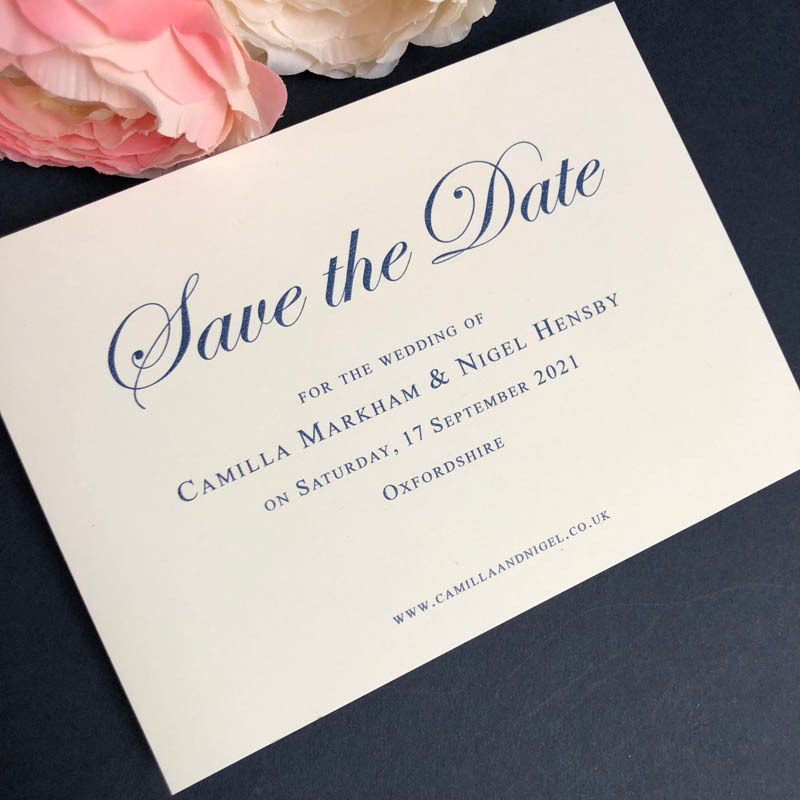 Thermographically-raised in deep blue ink using elegant Edwardian Script and Times typefaces. 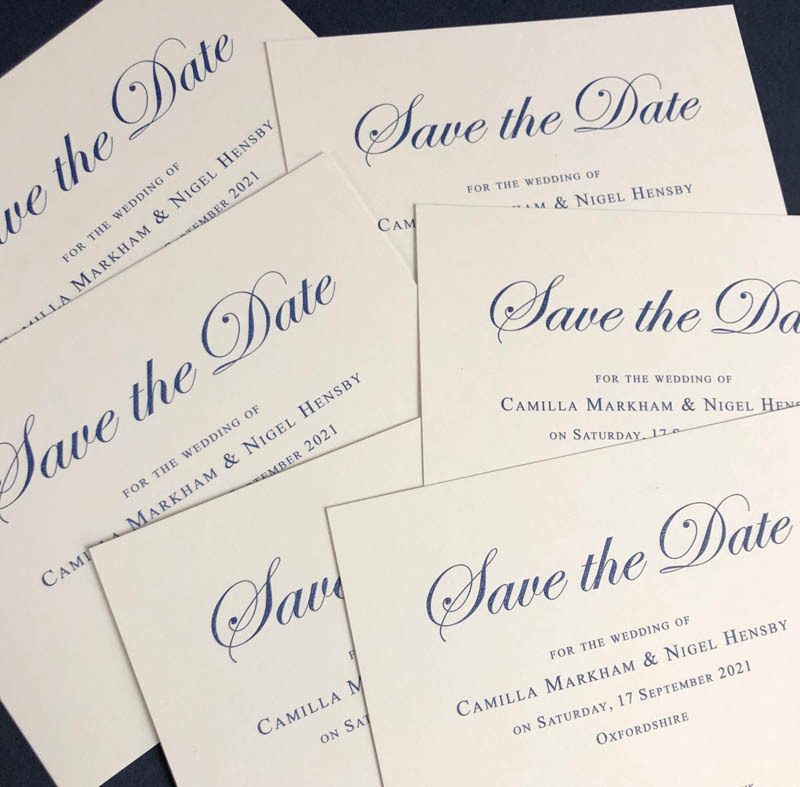 It’s a wonderful way to announce your wedding date to your friends and family. 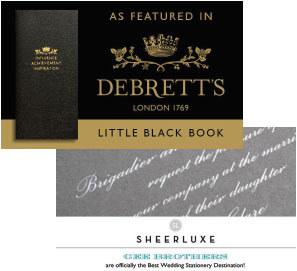 Extremely popular with our couples – we can customise the colours too, so do please call us to discuss.